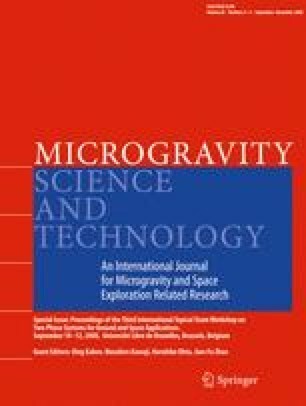 Bubbly flow at microgravity conditions is investigated experimentally. The evolution of bubble size has been measured in tubes of various diameters (6 to 40 mm). It is shown that the bubble size significantly increases along the tube due to coalescence. To predict the bubble size distribution along the tube a mechanistic model based on the transport equations of the moment of the bubble-diameter distribution has been developed. In these equations the coalescence rate is modeled in taking into account the two mechanisms of bubble coalescence encountered in microgravity: the turbulence-induced coalescence and the shear-induced coalescence. The results of the model are then compared to the experimental data.